Well, I’ve been home from Peru for over a month now and I’m finally writing the final chapter for this blog. Here, I’ll cover the time I spent in Cuzco, before and after my jungle tour. I have put together a short video of highlights of Cuzco below but I’m sure it doesn’t do the city justice. It’s really a very nice city with a long history and an architectural character of its own. The only downside is that it’s the jumping off point for Machu Picchu visitors: hence, it’s fairly crowded and expensive. I would highly recommend that anyone coming to visit Machu Picchu spend some time in Cuzco. And, you’ll enjoy it much more if you read up on the history of the Incas beforehand. A book I highly recommend is The Last Days of the Incas by Kim McQuarrie. It’s very well written and you’ll find the history of how a handful of Spanish mercenaries conquered an empire fascinating. If you’re like me, you’ll come away feeling angry about what happened: in my opinion calling Pizarro and his men conquistadors is much too flattering: I think murderers and thieves would be more accurate terms. As a citizen of the USA, I know I have no right to “throw stones”: how we treated the first Americans here is shameful also. But the manner in which Pizarro and Spain stole the Inca’s treasures and destroyed their culture, using religion to justify their deeds, is especially horrific. eradicate. In many cases, the Spanish built their colonial buildings on top of the original Incan foundations. For example, on the site of the sacred Incan Temple of the Sun, or Corikancha, the Spanish built the Church of Santo Domingo. The church sits on the massive stones that originally supported the Incan temple. 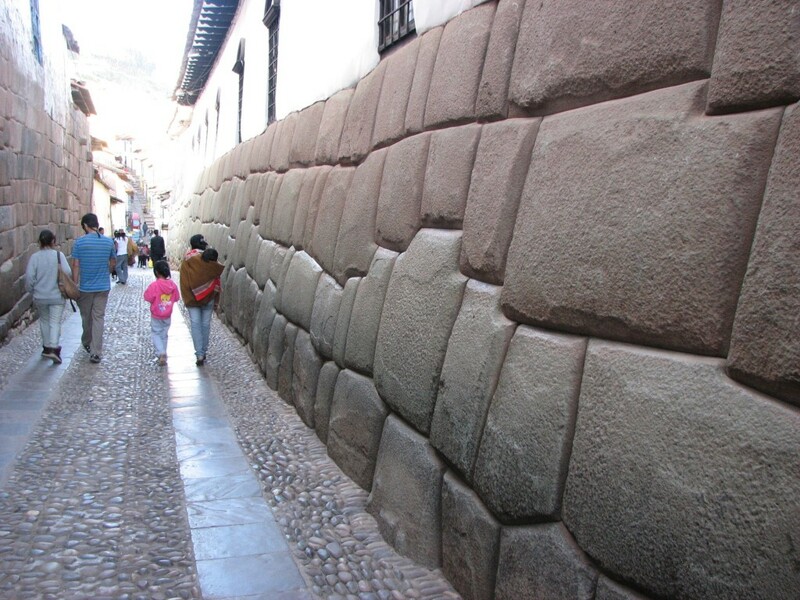 This combination, Incan stone foundations and Spanish colonial buildings, is evident throughout Cuzco’s old town and contributes greatly to its charm. The Incas were actually a small ethnic group whose mastery of architecture, farming, road-building and government led them to unify/subjugate a large number of people throughout the eastern half of the South American continent. Their Empire, however, was short-lived: it came into being only about two or three hundred years before Pizarro arrived in 1528. Less than 50 years after Pizarro’s arrival it had been completely destroyed, with millions of its people slaughtered along the way. Grace and Michael and I spent 4 days together in Cuzco, two before going to Machu Picchu and two after returning. We enjoyed touring the Sacred Valley (see earlier post) and just walking around town enjoying the sights. We had a wonderful hotel room, not far from the Plaza de Armas, aka the square: I would highly recommend the Tierra Viva Saphi hotel to anyone planning a visit. The day before Grace and Michael left, we had a wonderful lunch with the friends I met back in April while living in Trujillo and visiting the nearby Chan Chan historical site (see earlier post.) Cedric and Mai had driven their car to Trujillo from their home in San Francisco, bringing along their pet dogs Biela and Manly. After Trujillo they headed further south to visit Cuzco and Machu Picchu and I was happy to learn they were still in Cuzco when we arrived. We met on the square and they brought the dogs along so we could meet them. The five of us had lunch at a small restaurant just off the square and then we checked out the San Pedro market, where you can buy just about anything you can imagine. After Grace and Michael returned home I remained in Cuzco awaiting the start of my jungle tour. To save a little money, I moved to a youth hostel called EcoPackers. I had stayed in hostels before (e.g. in Huaraz, Peru and in Shangrila, China) but I had always taken a single room with private bath. This time, my room had 9 bunk beds (18 people) and we shared the common toilet/shower facilities with the other 150 guests. It cost only about $10 per night, offered WiFi access and I found it very satisfactory. I met some nice young people staying there and it was an interesting experience to be one of the only gray-haired guests. Many told me this was one of the nicest hostels they had seen. Staying in hostels is definitely a good way to afford an extended stay in a foreign country, as many of my fellow guests were doing. The day after Grace and Michael left, Cedric and Mai invited me to join them for lunch at the San Pedro market. One large section of the market is set aside for serving hot meals: consisting of scores of little stalls fronted by bench seats and a counter large enough for only 3 or 4 people at a time. You can get just about anything to eat here and it’s much cheaper than in city restaurants. Mai said she thought she remembered seeing Anthony Bourdain having lunch here on the Peru episode of his No Reservations show and she was right. I found the episode online here and you can see the San Pedro market segment at about 26 minutes into the show. Customers are mainly locals but you’ll see a few non-Peruvians like us joining in the fun. The food vendors actively solicit your patronage as you walk by and we took a seat under a sign labelled “Cabeza: Lengua, Oreja, Ojos”, meaning “Head: tongue, ears, eyes.” Later, we learned the head is from a sheep. I thought I could handle eating tongue but was a bit surprised by the bowl served to me because it included not only the uncut tongue but the jaw, teeth and skull as well! Mai’s and Cedric’s meals were equally interesting and you’ll see more in the video below. Another area in the San Pedro market contains rows of fresh juice vendors. Here, ladies wave their juice menus at passers-by, trying to entice them to enjoy one of the fresh juice cocktails they offer. Orange, papaya, lucuma, banana, and passion fruit are just a few of the fruits you can have blended into your drink. Whatever you choose is freshly cut and added to a small blender. The drink I had with Mai and Cedric was delicious and I returned to that booth once or twice later in my stay. I suppose the sanitary conditions of these juice stalls leave a lot to be desired and they should probably be avoided by anyone just arriving in Peru. But, since I had been in country for several months by this time, I was able to enjoy them without any digestive repercussions. Another interesting thing I did after returning from the jungle tour was to visit Sacsayhuaman, the ancient Incan fortress that overlooks central Cuzco from a large hill just north of town. 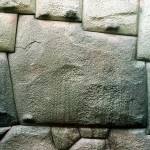 While I had been very impressed with the masonry found at Machu Picchu, Sacsayhuaman is even more impressive. The massive stones there are much larger, yet they fit together just as precisely (without mortar) to form the impressive walls. 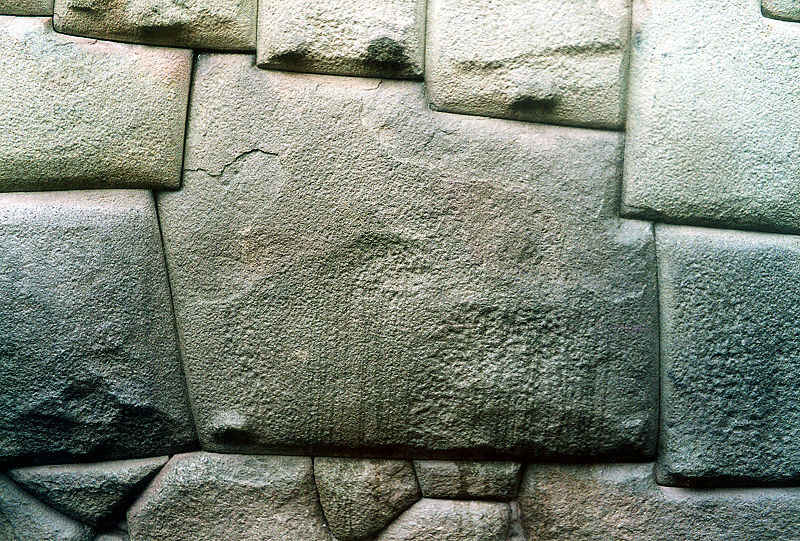 Sacsayhuaman played an important military role during the siege of Cuzco by the Spanish. On May 21st my taxi-driver friend, who had transported us to/from the Poroy train station for the Machu Picchu trip, took me to the Cuzco airport where I began my 24-hour trip home. I spent 7 hours in the Lima airport and another 3 hours in Houston. Luckily, my jungle tour friends, Eden and Miko, shared the Lima layover with me and that made the time much more enjoyable. When Grace met me in Newark airport I was so happy to see her and to be home again. It seemed like I had been away from home for a very long time. The three months I had spent teaching and traveling in Peru were fantastic, offering new challenges, new friendships, and exciting things to see. I am so happy I chose Peru for my South American teaching experience. I am even happier to be home again :-). Excellent post and experience. Brings back great memories. Bourdain has nothing on us 😉 I have to say that you were were / are fearless!! Family Vacation in Lima, Cuzco and Machu Picchu!